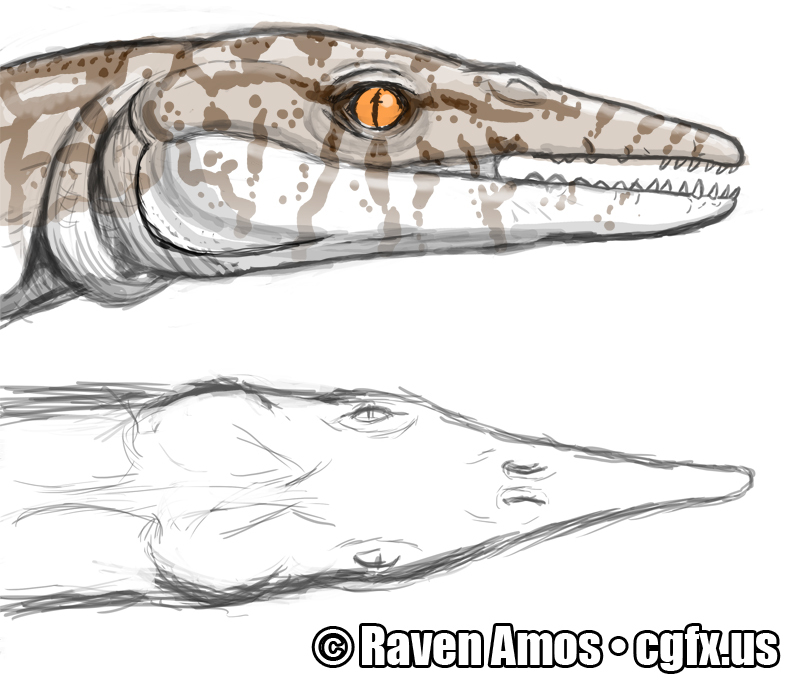 Tonight's serving of #sciart - three reconstructions of some of my favorite fossil critters. 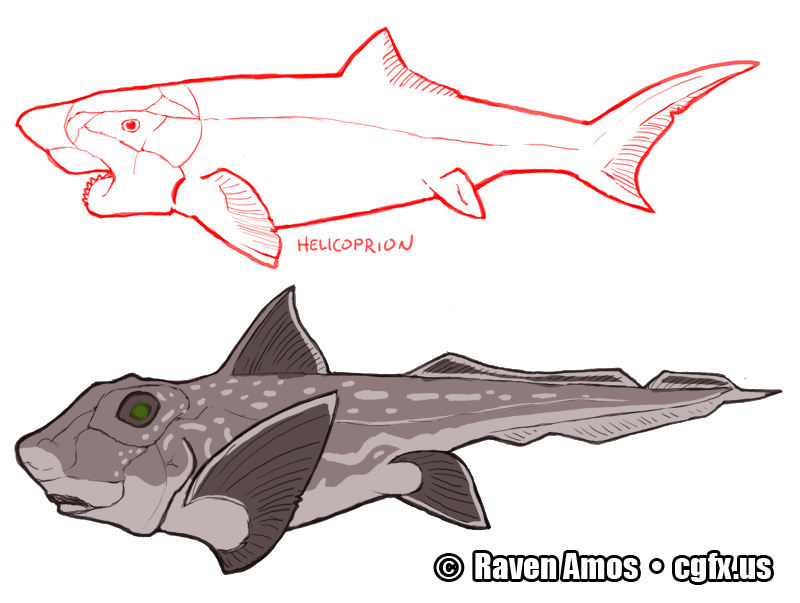 First up, Helicoprion with her modern relative, the Galapagos ratfish. Second, an outdated reconstruction of Thallattosaurus from the side and top, after the original Merriam fossil sketch. Last, we have a troodon with corvid-esque feather patterns from a much larger piece I've been working on for the past couple of years.